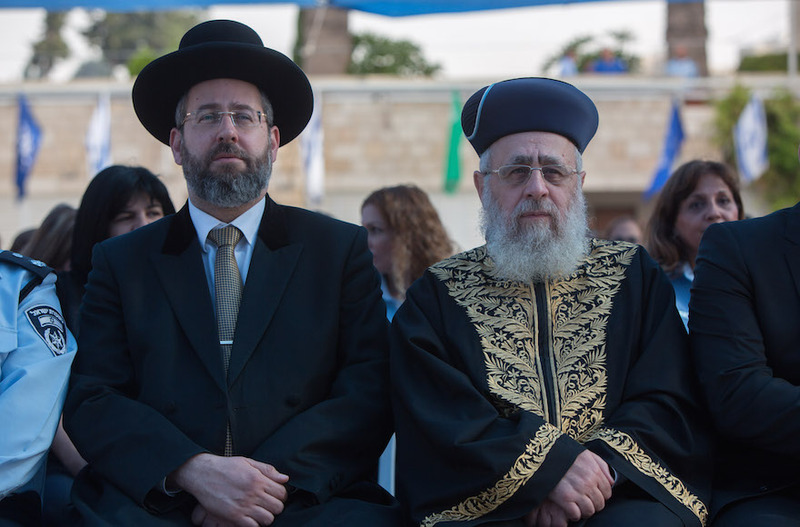 TEL AVIV (JTA) — Israel’s Chief Rabbinate has released a list of rabbis around the world that it trusts to confirm the authenticity of Jewish conversions, and it includes two Americans who have been mired in scandal and omits New York liberal Orthodox Rabbi Avi Weiss. The list released Tuesday features more than 100 rabbis, mostly from the United States, and 19 other countries. Among those included is Rabbi Mordecai Tendler, who was expelled in 2005 from the Orthodox Rabbinical Council of America following allegations that he had engaged in sexual affairs with several women, among them women who had come to him for rabbinic counseling. Also included is Rabbi Michael Broyde, who resigned from the RCA in 2014 after The Jewish Channel found that he had written favorable comments about his own works online for years under the pseudonym “Rabbi Herschel Goldwasser.” According to the report, Broyde also used the pseudonym to gain access to the members-only online communications of the International Rabbinic Fellowship, an alternative Orthodox rabbinic organization founded by Weiss. The list was released in response to a court petition demanding more transparency in how the Chief Rabbinate determines which Jewish conversions are legitimate. A midlevel Chief Rabbinate bureaucrat named Itamar Tubul evaluates requests from Israeli immigrants seeking a marriage license and must ensure they are Jewish. He receives proof-of-Judaism letters to that effect from around the world. In 2014, the process generated controversy when Tubul rejected a proof statement from Weiss, who founded the liberal rabbinic seminary Yeshivat Chovevei Torah, as well as Yeshivat Maharat, which trains and certifies women to hold positions equivalent to that of a rabbi. Following a backlash, the Rabbinate reversed its decision and accepted Weiss’ proof. Last year Itim, an organization that helps Israelis navigate state religious bureaucracy, petitioned a Jerusalem municipal court to have the Rabbinate be more transparent about the proof-of-Judaism process. As a result of the petition, the rabbinate released the list. In a letter attached to the list, which Itim sent to JTA, the Chief Rabbinate says it is “not exhaustive” and that it is not a list of “recognized rabbis,” per se. Rather, it is a list of rabbis the Rabbinate has trusted for the purpose of marriage, divorce and conversion. The letter also said the list does not constitute a guarantee that these rabbis will be trusted in the future. According to Itim, the rabbinate receives some 2,500 requests per year to recognize documents signed by foreign rabbis. The rabbinate has received 838 such requests since it began computerizibng its records in mid-September, approximately 80 percent of which have been approved, according to Itim. The organization also told JTA that the rabbinate is composing a set of criteria by which foreign rabbis may be recognized or rejected. CORRECTION: This article stated incorrectly that Moshe Tendler is on the list and was mired in scandal. It is Mordecai Tendler, his son.